Heart's Delight Cards: FREE SHIPPING IS BACK! Ho-lee cow, Stampin' Up! 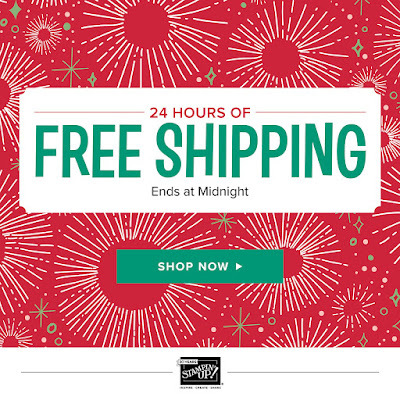 is bringing back free shipping for today, right up through midnight, Mountain time. That's right - FREE shipping no matter how large or small your order! I know I already posted today but I had to squeeze this news in, because it's .... well, FREE! If you decide to take advantage and shop with me, please be sure to use the host code (on upper right) if your order is under $150. Thanks!